Ask anyone about Swiss Business Class and they’ll tell you it’s a wonderfully refined experience. Ask them about first class, and anyone that’s flown it quickly transitions into a hallucinatory story telling state, reminiscing of the virtually unparalleled sophistication, luxury and attention to detail. If you can find a booking buddy, you can find out for yourself, thanks to an absolutely fantastic sale from quite a few European cities, for just £1666 round trip per person. It’s expensive, but for this, it’s worth it. 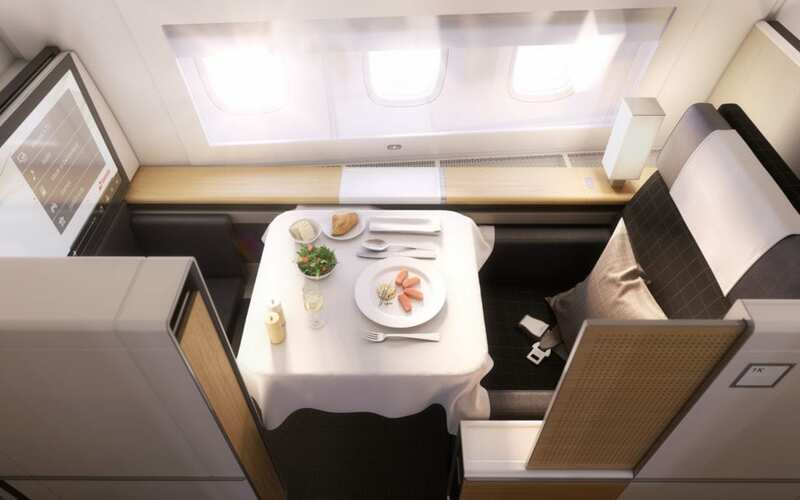 Swiss has launched a rare first class sale, bringing the borderline ridiculous luxury of first class at prices many would jump at for business class! If private suites, caviar and vintage champagne, are your kind of thing – this is definitely the deal for you. The Bangkok deals feature Swiss’s gorgeous new Boeing 777, with the latest and greatest suites and best passenger experience. These deals are available from Stockholm, Oslo or Copenhagen, for travel to Bangkok, Shanghai or Beijing. Other cities like Rio or Hong Kong are available for a bit more. Astoundingly, these deals are available from July 2018 thru May of 2019, giving an incredible range of dates to book. As of the time of writing, things were wide open for two traveling together at these prices. If you clicked more ads on the site, we’d definitely be joining you. Swiss has an extremely easy to use special deal site, which takes you directly to the very best prices. It’s pricey, but deals like this hardly ever come around. These deals are available from Stockholm, Oslo or Copenhagen. 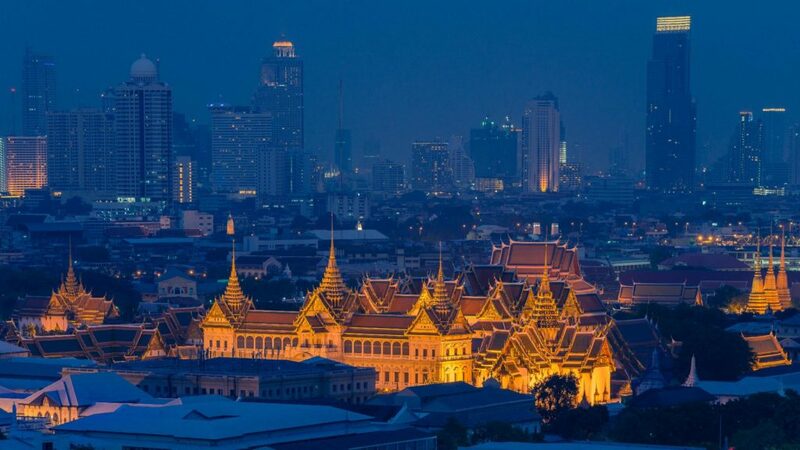 You can jet off to other great cities such as Shanghai or Beijing for the same price, but for a Southeast Asia jaunt, it’s tough to beat Bangkok. For more like £1900, cities like Rio and Hong Kong are available. For 22+ hours in First on a brand new Boeing 777-300ER via Zurich to Bangkok for £1666, you really can’t do better. Here’s a link to the Stockholm deals (best), the Copenhagen deals and the Oslo deals. Enjoy! And here’s more on the Swiss First Class experience! Are you booking this awesome deal? I have just done a search on the said first class flight and the cheapest I can get is €4303 a big difference from the £1666 you quoted. Roger, the prices are easy to find. The problem is you’re searching in reverse. Flight deals rarely work in both directions. Therefore you can’t start in Bangkok, they are for Stockholm, Oslo or Copenhagen departures, exactly as it says in the post. yes. as GSTP said, its only for outbound from EU. At present there is great availability on many routes out of the above mentioned airports. Also, the swiss site is very easy and clear to use. They have colour coded the dates in yellow for when the discounted fares are available. just make sure you search for 2 ppl. Would it be possible for someone to list LX terms and conditions for this F sale? I couldn’t find them when searching. E.g. is it possible to make changes for a fee? I presume the tickets are non-refundable / cancellable? Does inbound have to return to same starting airport? Hey GM, if you go through a booking, up to the step before payment you’ll see a breakdown of all fare rules. Watching world cup, so unable to offer more assistance. But do i have to put in all passenger and contact details first and then click through to see the fare rules ? It wont let me go to payment page without doing this. Also. i am seeing double pricing still at the enter your details page — does this ‘update’ to the 2 for 1 \ half price, once you click through to the payment page? Does anyone know the “must be booked by” date? Just bought the tickets – easy to find the seats, it works very well. Worth to remember few destinations like Shanghai or Beijing are still operated with old A340 : seats and – first of all screens – are far worse than in new 777. From the latest news it looks A340 will be refurbished by Spring 2019 ( initially Spring/Summer 2018 ). I’d think so by now, sadly.